The color Gold suites Genji well. If you are going to dominate in overwatch might as well do it in style. 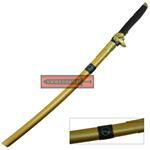 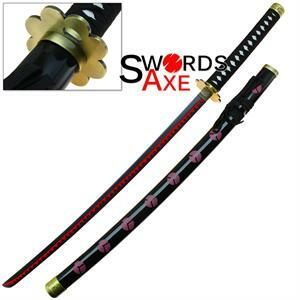 The sword is forged from high-quality 1060 carbon steel. 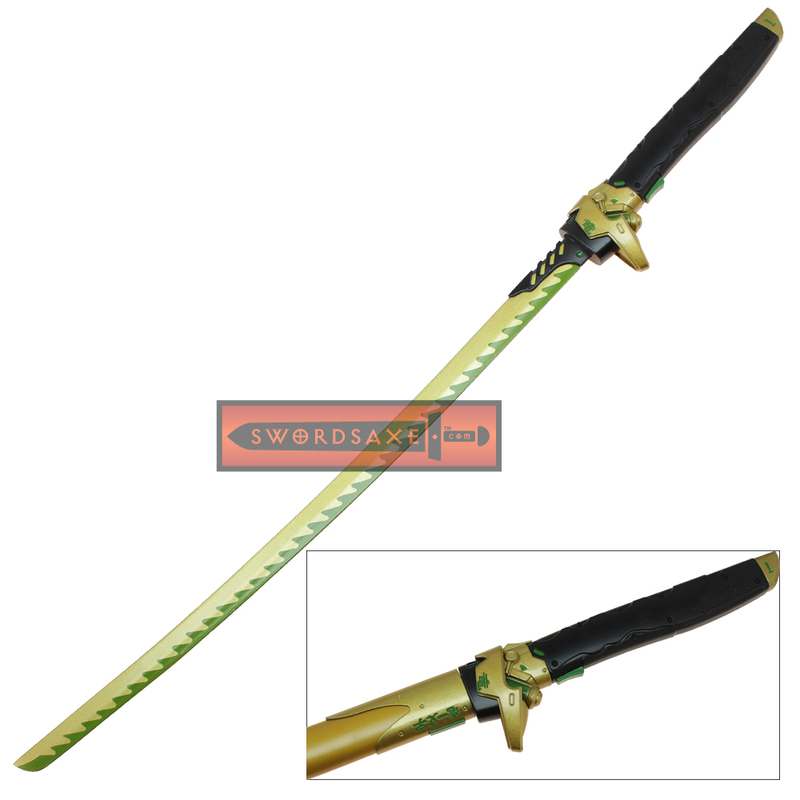 The blade is finished in gold with a rippling green hamon pattern. 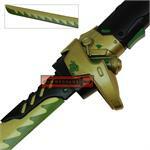 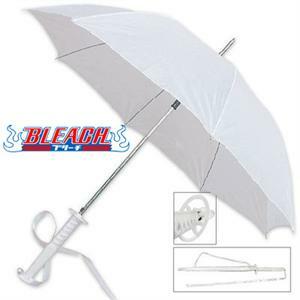 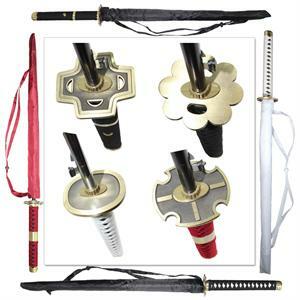 The handle, guard, the entire hilt is made from aluminum alloy which is furthur finished in durable heat-treated enamel. 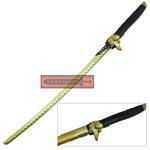 The scabbard (saya) is primarily made of wood, with some aluminum accents, and it fits snugly to the blade. 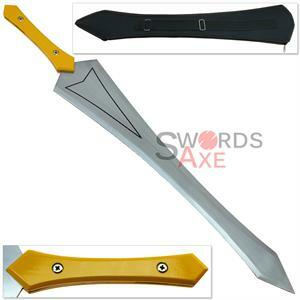 This is a top tier replica, and is sure to impress everyone either on display, or in a cosplay event.